Ronnie Wood | Goin' Mobile - Adventures of a Travelin' Music Junkie! ***Little did I realize, a few months back when I wrote about my friend, Barb winning a trip to New York to see the Rolling Stones (http://www.rollingstones.com,) that it would be a precursor to ‘the best night of my life!’ At that time (Nov-Dec. ’12,) we diehard Stones fans were chomping at the bit, wondering when/if/where our beloved band was ever going to tour again. We figured it had to be soon, if ever, since it was their 50th anniversary together as a band…and a unique time in rock & roll history! Monumentous! Exciting! As much as I hate to admit it, I can’t recall where I was when I heard they were actually going to do it – the Stones would be touring! I’m sure I mustn’t have been driving in my car, or I surely would’ve crashed! I know it wasn’t from someone else, because I am always the first of my friends to hear about important musical news like this. I’m thinking it must’ve been on the internet, Facebook, or somewhere where I could’ve seen it “hot off the press.” Being a lifelong concert goer, and Stones fan, I’m signed up for all sorts of music news, so I undoubtedly received some email notification that announced the tour. And, I was ECSTATIC! I immediately contacted my three kids and told them to clear their calendars on the night the Stones were coming to our town! It had been a wish of mine to take them to see the greatest rock band in the world, if they ever toured again. And now, that time had come! Ticket sales were only about a month after the big announcement, so things happened fast. By the grace of god, all four of us were available on Sunday, May 5, 2013 to see the boys in Oakland, California! But, buying tickets was another story. I feared being seated in the boondocks and barely being able to see the stage. Being one of their oldest and most devoted fans, I felt I should have a seat in the front row with my name engraved on it. But phooey, I didn’t. So, it was going to be a mad frenzy online, along with thousands of other nutty fans, jumping into the lottery fan pool. Ugh… But, lo and behold (and by the grace of something!) my daughter informed me that, because she was a Citibank cardholder, (https://online.citibank.com/US/Welcome.c) she had access to presale tickets! Praise the Gods of Rock & Roll!! We’d get first crack at them! “go for it! Buy in the Tongue Pit!” I didn’t care about the price – I was going for the big time! This was the single most historic event for this concert lover, and it was never going to happen again! So, that’s exactly what we did. Dot got into site first and by 10:03 we had four tickets in the tongue pit to see the ROLLING STONES!! My joke is that “I spent my next 42 paychecks” on tickets…but I didn’t regret it for a second! We were seeing the Stones!!! The first time I saw the Rolling Stones was as a teenager in 1974 at the Cow Palace in San Francisco; and then again in 1977 at a ‘Day on the Green’ in Oakland; then again, and again, etc, etc. If a little birdie whispered in my ear back then that in 2013 I would be going to see them with my three grown kids, I would’ve bet my right arm, left leg, a trillion bucks, and all my future children on the impossibility of that ever happening. Glad I never made that bet, because I would’ve lost big time!! To prepare the kids (all in their 20s, so not really ‘kids’ at all,) I researched the playlists from the “50 & Counting” concerts that took place last December, took an educated guess that they’d be the same or similar, and burned them each a copy. It ended up to be a wise decision, because that’s exactly what happened (give or take a song or three…) and they were all very familiar with the songs that night, singing along, jumping around, and basically enthralled like their mother! All in all, it was a wonderful night! 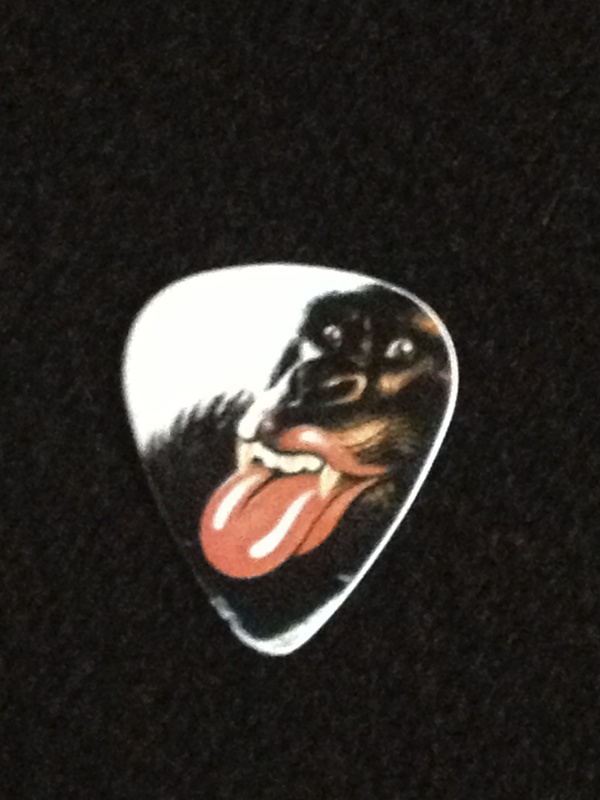 Seeing the Stones up close and personal, getting looks, smiles, picks from them, etc. was more than I could’ve ever wanted! Being there with my kids, who loved the show as much as I did, was priceless!! When it was over, they all came up to me and thanked me for the “best night ever”, “the best concert” they had ever seen! We were walking on clouds! 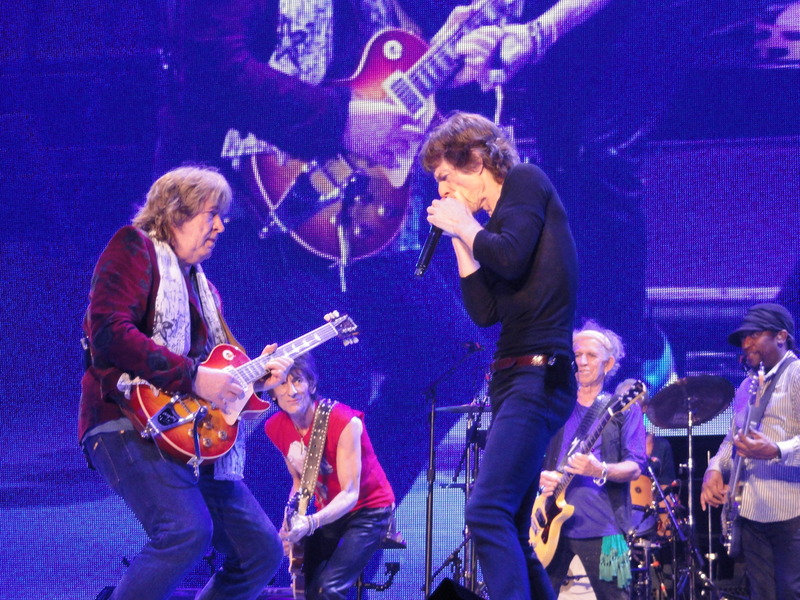 The Stones put on a fantastic show, beyond all expectations, and we were flying high! song. Besides Mick Taylor, who was the special guest on the whole tour, some of the others were Taj Mahal, Aaron Neville, Gwen Stefani, John Mayer, Taylor Swift, Brad Paisley, Katy Perry, Keith Urban, Bonnie Raitt, Gary Clark, Jr., etc. Our night featured Tom Waits singing “Little Red Rooster.” Of course, every night also featured Lisa Fischer* on vocals for “Gimme Shelter,” and man, did she belt it out!! Oh, we also had the San Jose State choir join the boys for “You Can’t Always Get What You Want.” The whole show was amazing, surreal, unreal, and historic!! In the following days I was both riding high with exhiliaration, and so sad that it was over. To think that, after a lifetime of The Stones, this might be it…fini…the end of an era. But, even if it was, it stands out as one of the best nights of my life…and, I could’ve repeated it over and over a hundred more times! 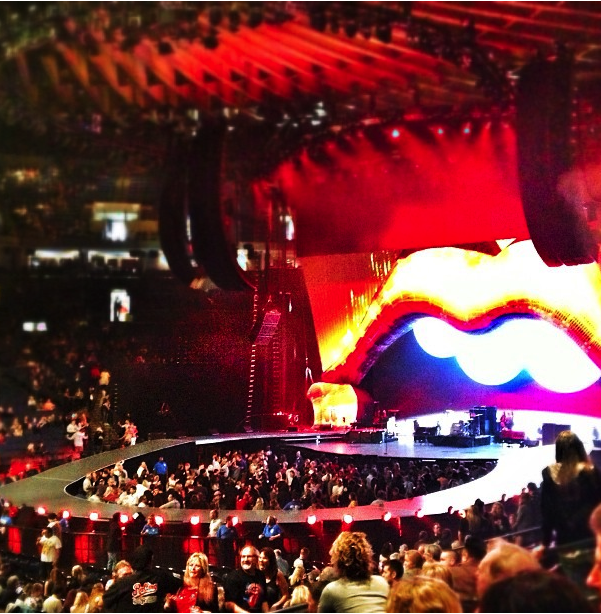 The Rolling Stones, on stage after fifty years together!! I wouldn’t have missed it for the world!! **In our goodie bags (canvas bags with the Stones logo) were a nice wool blanket with the Rolling Stones “50 Years & Counting” logo in black, red and white; a very nice hard back book called “50 & Counting…The Rolling Stones Live,” and a lanyard with a laminated “50 & Counting” logo. 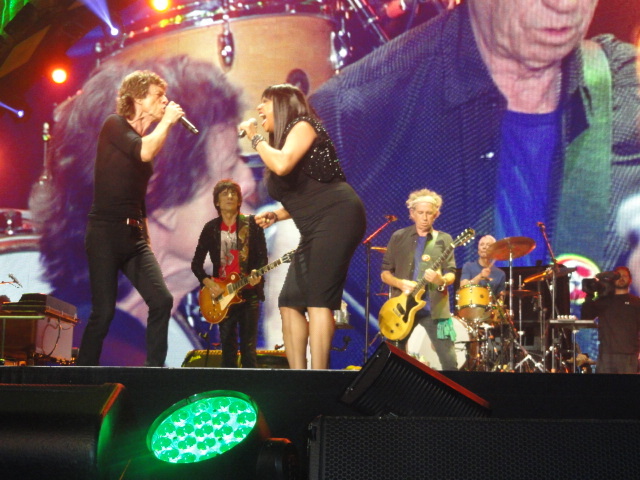 ***Lisa Fischer is featured in the movie “20 Feet From Stardom” (http://www.youtube.com/watch?v=tWyUJcA8Zfo) and has been touring with the Rolling Stones since 1989.